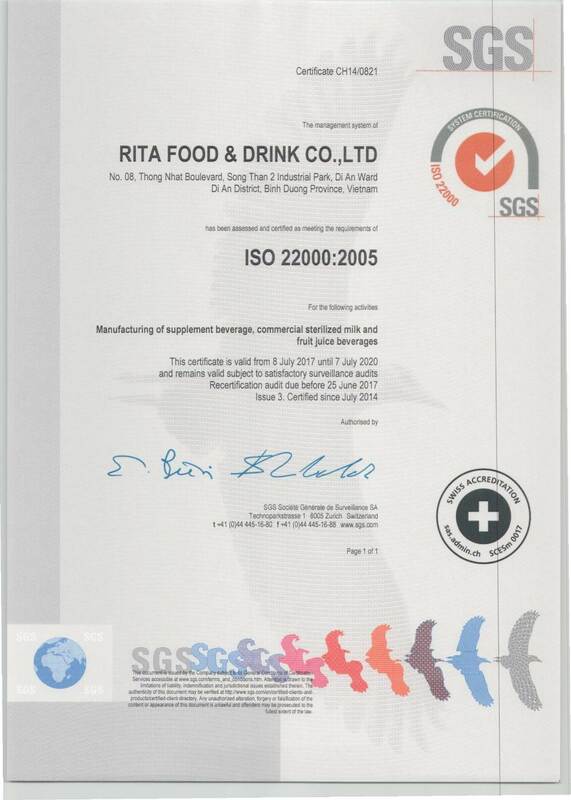 Rita Food & Drink Co., Ltd. www.beverage-vietnam.comEstablish Processing Base at Vietnam specializes in the production of Canned Drink such as Energy Erink, Coconut Water, Aloe Juice, Soya Milk, Fruit juice, Soft Drink, Coffee, Beer and so onOur factory, located in Song Than Industrial Park with 30, 000 square meters, possesses the yearly producing capacity of 3,000,000 cartons of Drinks. 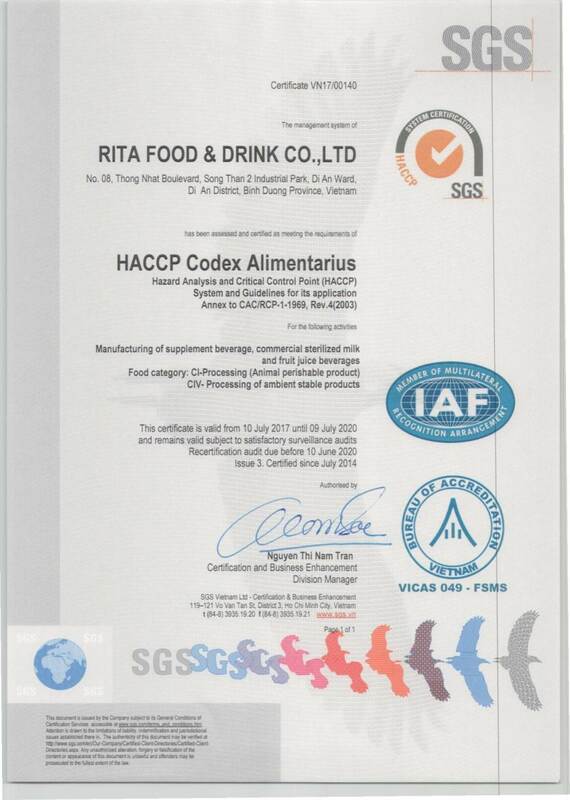 And also, We have build up a strong research and development team, who is continuously improving our manufacturing process, quality standards of our products. 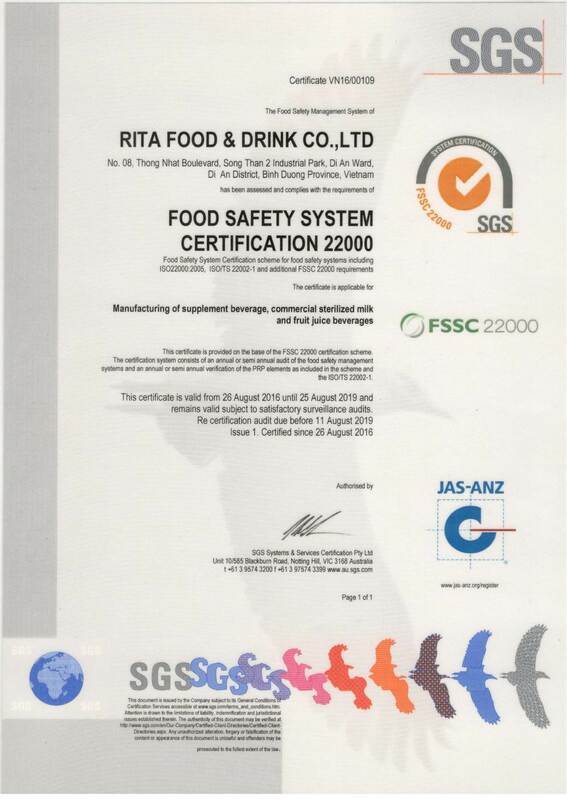 RITA now has become a famous brand in Vietnam and on sold at supermarket and international market. Work with us and enjoy the same benefits our repeat customers receive from us. We expect to cooperate with you through the forms of district agent, distributor, or OEM / ODM whatever could satisfy your demandIf you have any questions, please feel free to contact us, your best reply will be high appreciated. 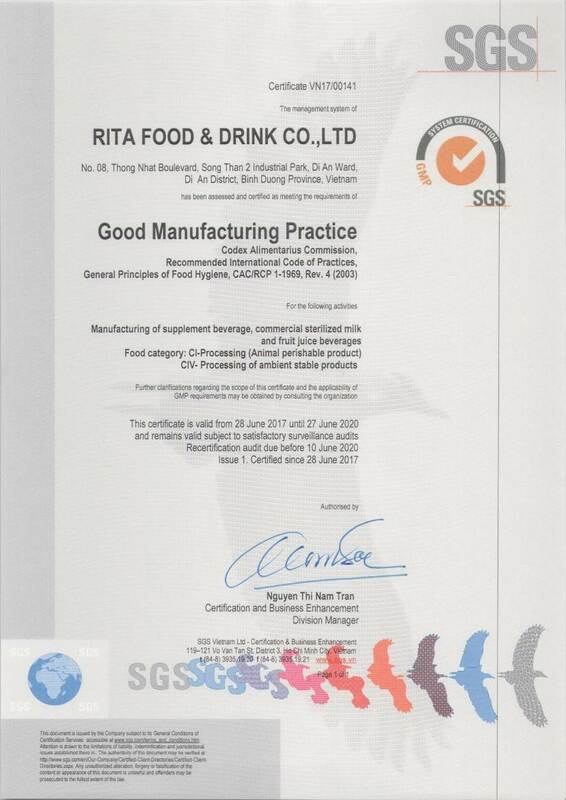 Rita best manufacturer at Vietnam! !